A fellow blogger " Just Noon " started “Pack a Bag” campaign is a campaign with no rules, its not based on an organization nor a group, you don’t have to stick with a certain organization, all you have to do is pack an old bag that you don’t need anymore and pack it with clothes, shoes, accessories, toys and whatever you think is suitable for donating and send it to whoever you think needs it the most. Your maid, tea boy, cleaning lady at work, poor people around you like a neighbour maybe, you can send them to africa or refugee camps. 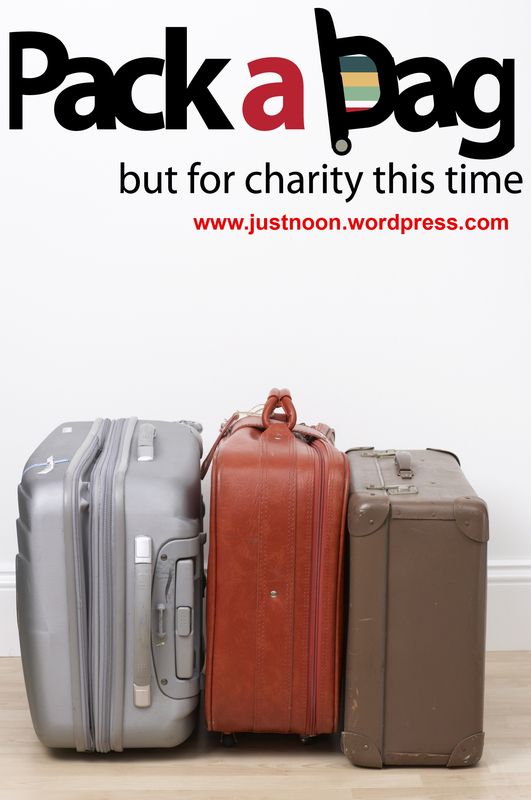 this campaign starts from kuwait and hopefully will reach the rest of the world, calling all bloggers, readers and “Charity Enthusiasts” to help spread the word. So come on, hurry up and pack your bag !